1. Kaitie Keough is the truth. 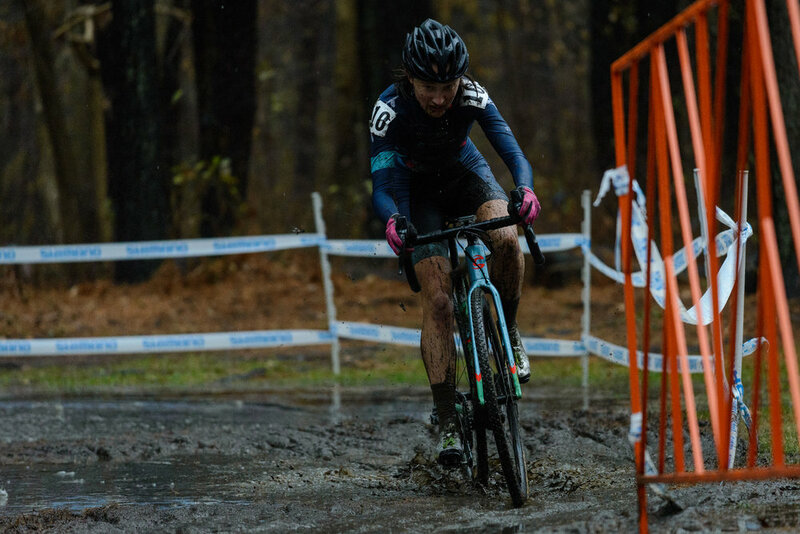 She is the Mathieu Van Der Poel of NECX Women’s racing, and she made her contest completely boring. In a cool way. My parents, who’d never seen real pros race, were stunned. They had timers out to check gaps. They were comparing technique. It was great. 2. Stephen Hyde is back. Man, does this guy know how to ride a bike. I think he’s going places. 3. Seeing Adam Myerson proven super-duper wrong. This doesn’t happen a lot, so, enjoy it. In the race preview (which was excellent! ), Adam says, “We’re on the beach, so it drains. 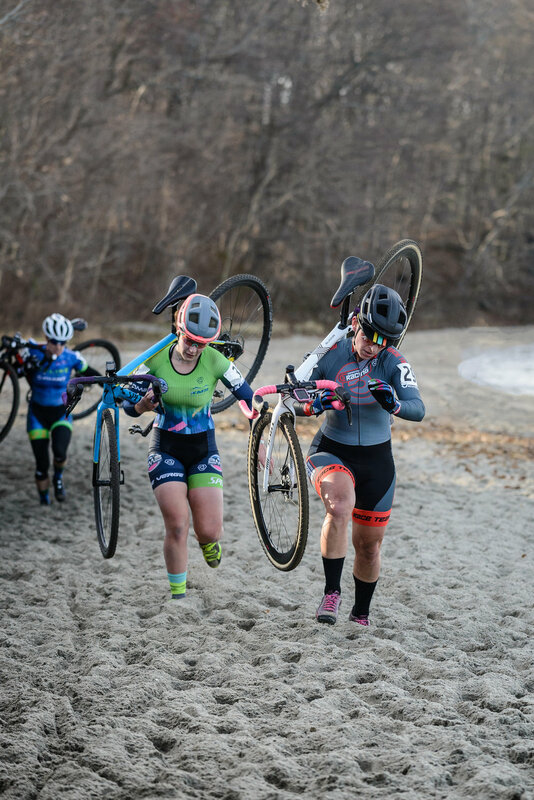 It doesn’t get muddy, but it does get slippery.” Overnight rain lasting through the beginning of the Women’s pro field left the course completely drenched, and muddy wherever there was soil. The sand bermed up real good, but there were puddles covering roots and deep slop in plenty of places. 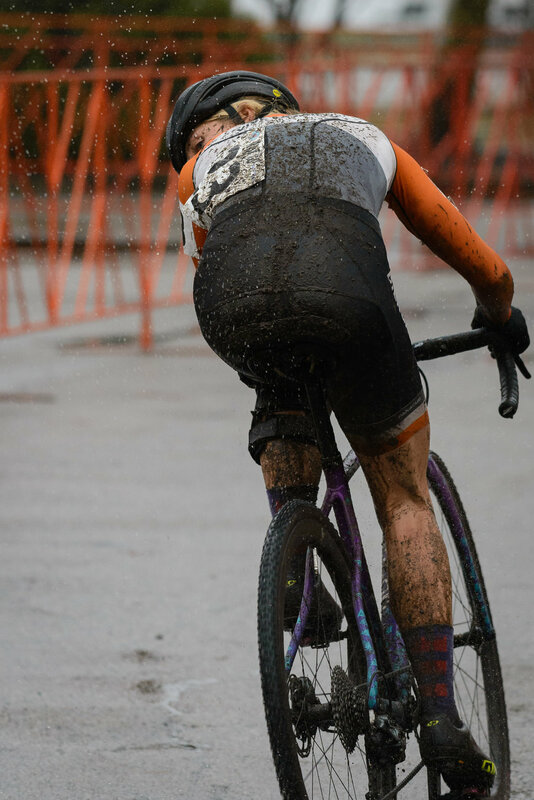 The sandiness of the mud meant it didn’t stick to tires, but it certainly did eat away at everything else on my bike. 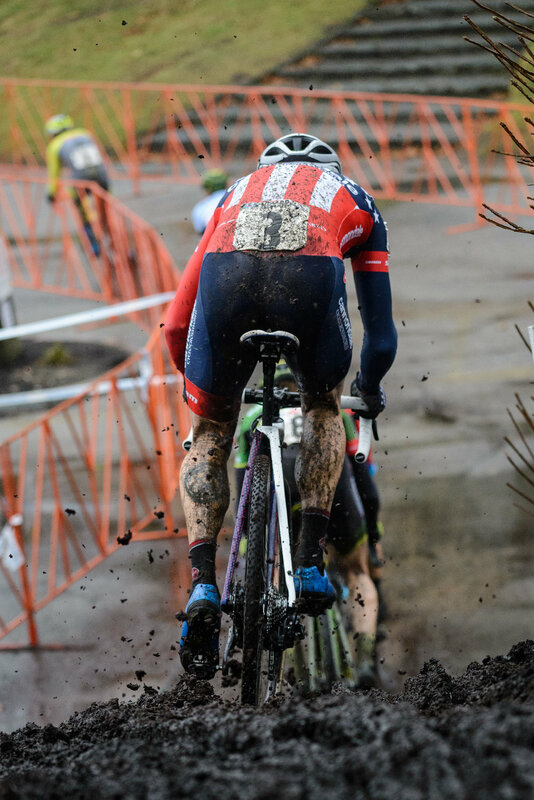 NBX: in 2018, it can be muddy. All season, I’ve been telling my friends about this cool trick I learned at camp. Unclip your left foot first when you dismount. It’s faster, and safer! 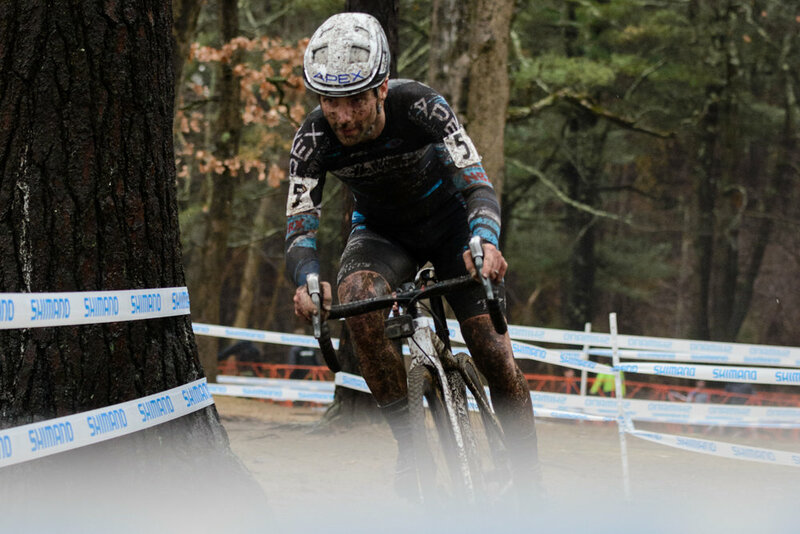 I learned it from Al Donahue, godfather of northeast cyclocross. Turns out Al doesn’t actually do this. 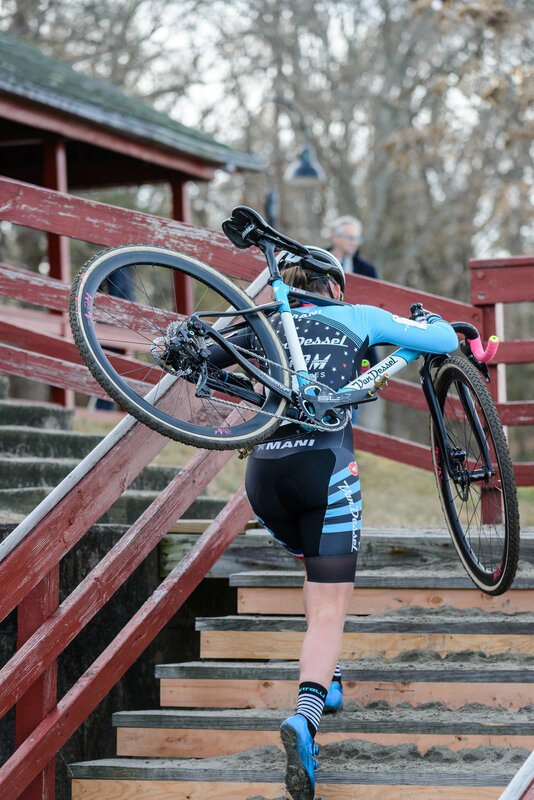 Everyone riding a Cannondale aside from Hyde suitcases with the saddle inside their armpit, and they all hit the barriers with their rear tire. Curtis White steps through. And yet, despite my lowly critiques from the sidelines, they’re all incredibly fast. 5. 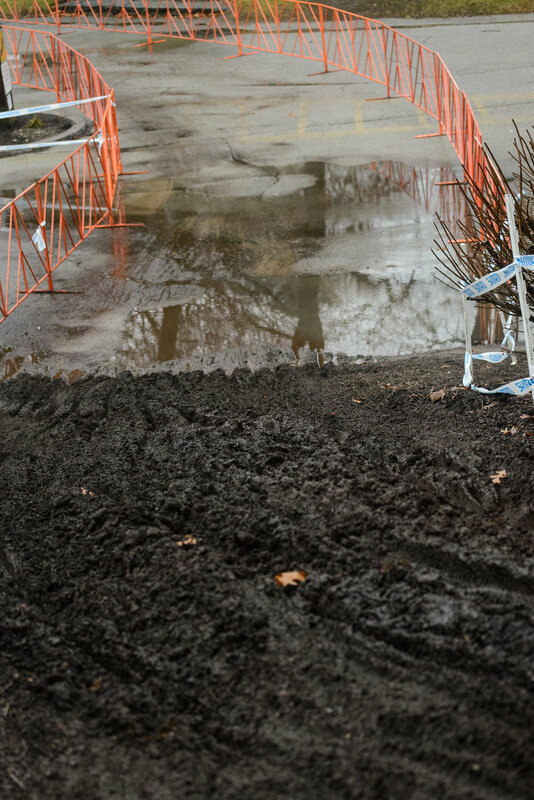 Big races are the right way to end your season. 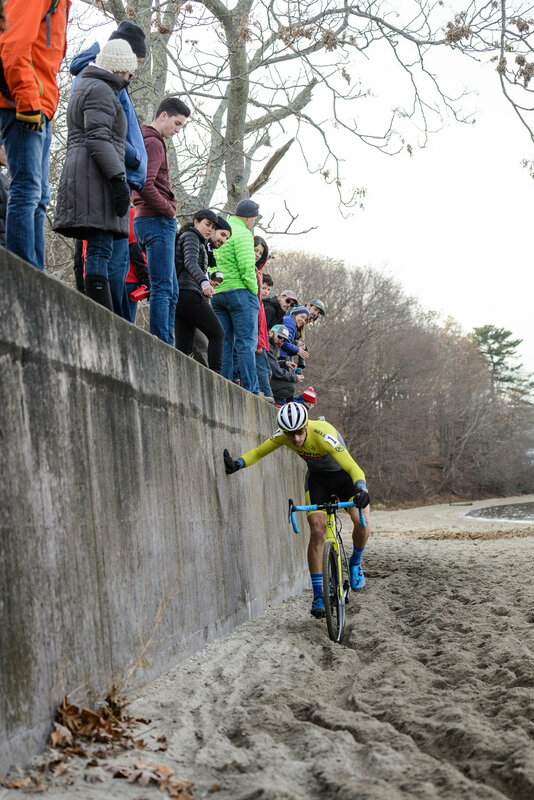 …and NBX is the right place to say goodbye to a great, if sometimes… demoralizing? season of cross. Don’t end it in the middle of a frozen field with nobody watching. 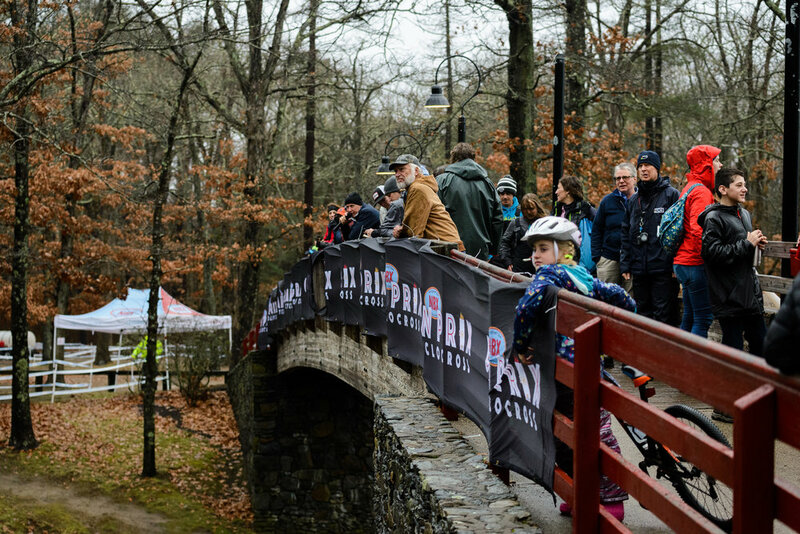 End it with 500 other racers on one of the best-looking courses on the Eastern seaboard. One of my favorite group-trip hacks is to get reservations in advance, so there’s no wondering where or when you’re having dinner. We got a 6:30 res at The Shanty, and it was the best. I’m not blaming the Big Ol’ Burger for my massive drop in performance, but correlation may as well be causation, right? Right. 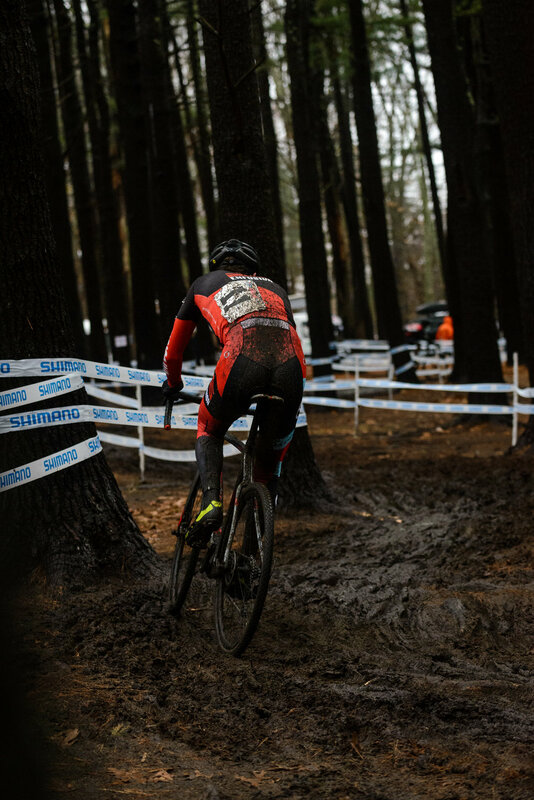 This weekend was our teammate Scott’s introduction to NECX. 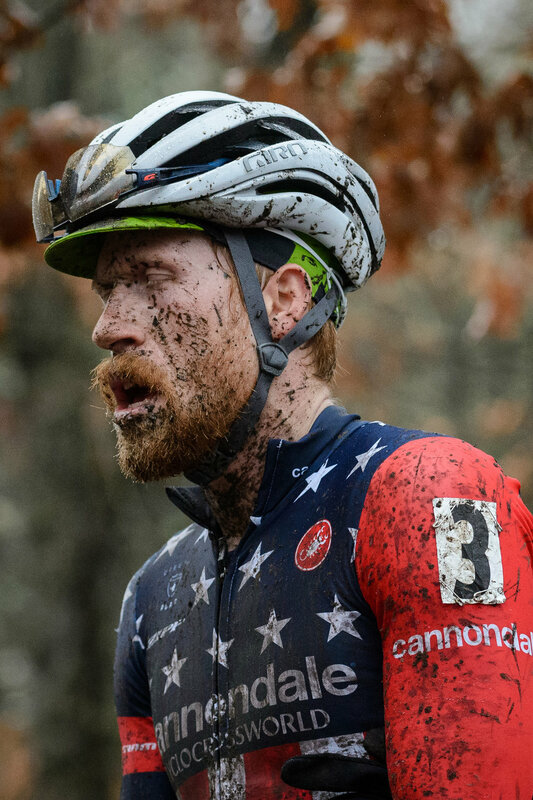 He showed up with bald filetreads, a full season of elite Australian CX under his belt, and a boatload of freshness. Even though he raced in the P/1/2 field in Australia (or the equivalent), he was placed in the 3s by our USAC pals. This led to some… interest from NECX Twitter. There has already been much Slack about said rider today. We love us some Merv. 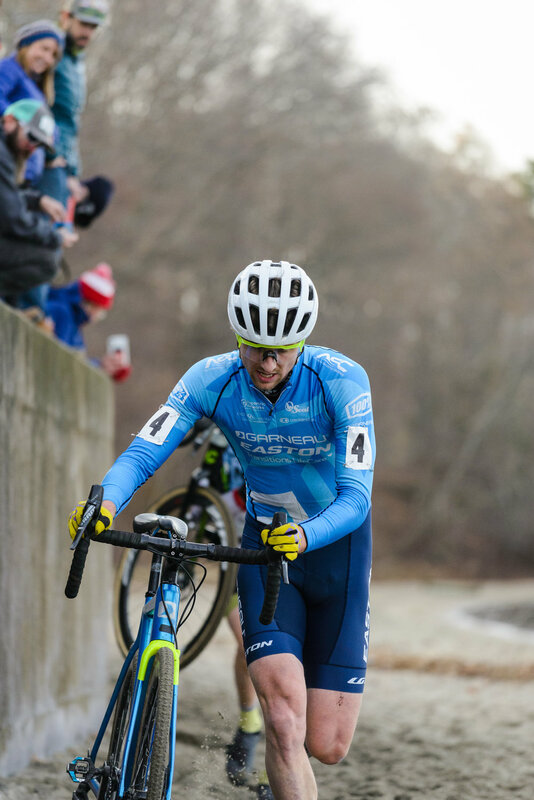 He’s also coached by our friend and yours, Jacob Fetty, and we got a taste of his bike-handling skills at the Cycle-Smart camp back in August. 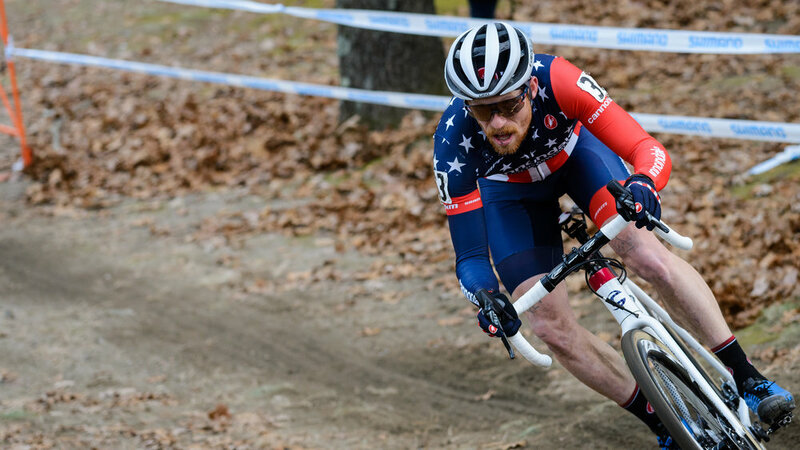 These skills were on full display both days at NBX. As with every weekend, I saw a bunch of folks rolling up solo. And of course there are those with RVs, conjoined tents, and BYO power-washers. However you do cross is the right way to do cross, but I love the way the extended NYC community does it. We coordinate rides, AirBnBs and hotels; we show up at the same place for dinner through the magic of Slack; we pit for each other, cheer for each other, heckle each other, take photos of each other; we buy donation beers and we bring good cheer. Special mention to my parents who drove a few of us — welcome to our merry band, if only for the weekend.